In short, we don’t consider rice cereal, organic or otherwise, to be babies perfect first solid food. Yesterday, I read the following list of recommendations on what to feed your baby – organized by age and published by a blogger who shared that as a Registered Dietician she “hopes to inspire people to move from processed foods to whole foods in their natural state”. I decided to re-publish and discuss this list since it raises several concerns in my mind. 1. My first concern is that if the goal is to inspire people to move away from processed foods, then this dietitian, like many other health practitioners, has what I would consider to be much too narrow of a definition of what processed foods are. 2. I am also concerned that the following recommendations may produce a child who will have a compromised gut and other serious health problems. Before I proceed: I want to make it abundantly clear that this post is not about the dietician who published the recommended list, but rather about some of her recommendations which any google search will reveal are fairly typical. This is about ideas not individuals or as I wrote in the original post – about principles and not personalities. Iron fortified cereal (rice, barely, oat) thinned with breast milk or formula is the first food of choice by most pediatricians. The cereal will provide your baby with iron, B vitamins, and protein. It is a low allergen food. If you feel comfortable and with your doctor’s approval, you can add mashed banana, avocado and applesauce to your baby’s diet. Adding applesauce fortified with vitamin C will help your baby absorb the iron in the cereal and formula. Add cooked pureed vegetables and fruit to the cereal or baby’s diet. You can use a blender, fork, or good grinder to mash the cooked vegetables. If you feel comfortable and you have your doctors approval use sweet potato, apricot, peach, plum, pumpkin, carrot, peas, mango, and other great vegetables. Fruits and vegetables will add vitamin A, C, and B to your baby’s diet along with fiber, folate, iron, magnesium, and manganese. Adventure into other grain products: millet, quinoa, oatmeal, etc. Add flax seed oil, flax seed meal, coconut oil, blackstrap molasses, and chia seeds as nutritional enhancers. Add hard boiled egg yolk (no egg white) to your baby’s pureed food for additional iron, choline, fat and protein. Add stronger vegetables such as broccoli, kale, asparagus, green beans, beets, etc. Start to introduce finger foods such as mashed up homemade macaroni and cheese, pancakes, soft cooked vegetables, etc. Let your child feed him or herself to learn about food and how to use their fingers. Try to use different colors, textures, and smells. Introduced finely shredded or chopped soft meats and white fish. Let your child join you at the table and eat the foods you are eating mashed to the appropriate consistency. However, do not give your baby foods that are processed or high in salt and sugar. Note the last recommendation: “Do not give your baby foods that are processed” … yet the first item on the list is to give iron fortified cereal — which I consider to be highly processed. Dr. Weston A. Price discovered that there were no processed foods in any of the diets of the healthy people he studied. The diets contained no refined or denatured components. See an overview on this preview of our DVD. I will define what I consider unprocessed first: foods from an animal eating its natural diet, in its whole, completely natural state such as raw milk from grass fed cows (which is not pasteurized and not homogenized) … or a food item that comes from a tree grown without pesticides, herbicides and the like such as an organic apple … or from the earth comprised of unadulterated soil such as organic beets. I would include traditionally harvested sea salt in a list of unprocessed foods, as well as traditionally prepared olive oil, coconut oil, yogurt, butter, sourdough bread and so forth. Virtually everything else I would consider to be processed food. Quite a wide definition, eh?! What I mean by that is that my definition widens the parameters of foods that one may consider to be processed. If it comes in a box, a can, or a package – even those labeled non-GMO, natural, fortified, organic or otherwise, it is still likely processed and even highly processed – Gerber Organic SmartNourish™ Cereal is a case in point. What’s wrong with infant cereal? Kristen Michaelis of Food Renegade summarizes in her article Why Ditch The Infant Cereals? Traditional cultures didn’t (and don’t) feed their young babies infant cereal. Among the few cultures who fed their babies a gruel of grains, their practice radically differed from what we do today. First, they only introduced the gruel after the baby was more than a year old. And second, they ensured that the gruel was mildly fermented by soaking the grains for 24 hours or more. 2. Babies can’t digest it. In order to digest grains, your body needs to make use of an enzyme called amylase. Amylase is the enzyme responsible for splitting starches. And, guess what? Babies don’t make amylase in large enough quantities to digest grains until after they are a year old at the earliest. Sometimes it can take up to two years. You see, newborns don’t produce amylase at all. Salivary amylase makes a small appearance at about 6 months old, but pancreatic amylase (what you need to actually digest grains) is not produced until molar teeth are fully developed! First molars usually don’t show up until 13-19 months old, on average. 3. Feeding your baby grains displaces other, more important nutrients. If you feed your baby cereal or other grains, you’re doing more than simply sticking them with an indigestible food. You’re feeding them an indigestible food in place of something more nutrient-dense. You’re feeding them something their body can’t really use and starving them of the nutrients they need to grow a healthy brain, nervous system, and bone structure. My take away from these articles was that a seemingly modest excess of iron can be bad for everyone, and especially for children. If baby does in fact need more iron, which can be verified by a test, rather than supplement with fortified “food” – we would recommend including iron rich foods in the diet. Heme iron is more easily absorbed by your baby’s body. It can be found in meats including beef, chicken, lamb, pork and turkey. Chicken livers is another recommended source and one we include in our list of baby’s first solid foods. Sally Fallon Morell writes: “Commercial infant formulas are highly fabricated concoctions composed of milk or soy powders produced by high-temperature processes that over-denature proteins and add many carcinogens. Milk-based formulas often cause allergies while soy-based formulas contain mineral-blocking phytic acid, growth inhibitors and plant forms of estrogen compounds that can have adverse effects on the hormonal development in the infant. Soy-based formulas are also devoid of cholesterol, needed for the development of the brain and nervous system.” If baby formula is needed, this homemade version is our recommendation. If you want more Vitamin C – I would recommend eating more whole foods that contain Vitamin C. Who knows what form of Vitamin C the applesauce has been fortified with and how it’s been done. I personally am not in favor of taking nutrients out of context and supplementing with them. It is our recommendation to wait 1-2 years to feed babies grains, being that they do not have the enzymes to digest them. I personally would even wait until 3 years. The later the better in my opinion. Grains are not nutrient dense. They are problematic for many reasons. They displace other more nutrient dense foods. Comprised of recommendations made in articles written by Sally Fallon Morell Feeding Babies, Jen Albritton Nourishing a Growing Baby, AnnMarie Michaels When to Feed Baby: Why Start Solids at 4 – 6 Months and Kristen Michaelis Why Ditch The Infant Cereals? 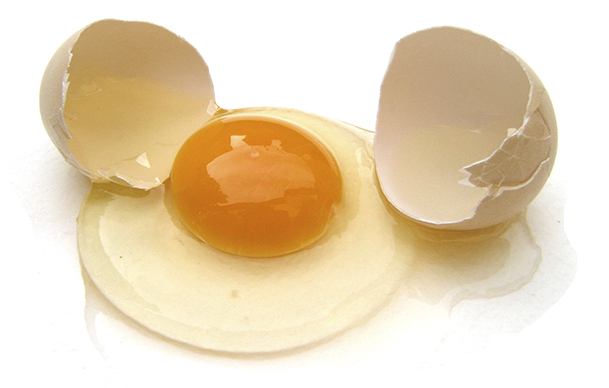 People avoid egg yolks because they have been taught to fear cholesterol. As Ann Marie Michaels highlights: Cholesterol is crucial for the insulation of the nerves in the brain and the entire central nervous system. It supports fat digestion by increasing the formation of bile acids and is required for the production of many hormones. Since the brain is so dependent on cholesterol, it is especially vital during this time when brain growth is accelerated. Boil an egg for three to four minutes (longer at higher altitudes), peel away the shell, discard the white and mash up yolk with a little unrefined sea salt. (The yolk should be soft and warm, not runny.) Small amounts of grated, raw organic liver (which has been frozen 14 days) may be added to the egg yolk after 6 months. Some mothers report their babies actually prefer the yolk with the liver. From Nourishing Traditions by Sally Fallon Morell. In regard to cod liver oil, we believe that fermented cod liver oil is the best choice. Keep in mind that not all cod liver oil is created equal. Fermented cod liver oil has the recommended ratio of vitamins A and D. Also, it is not heated like other brands of cod liver oil and is naturally fermented so it has enzymes and probiotics. It is recommended to introduce foods one at a time, waiting at least a few days to a week in between new foods. The dietician whose list I republished states that iron fortified cereal (rice, barely, oat) thinned with breast milk or formula is the first food of choice by most pediatricians. While I am not a mother, a dietician, a nutritionist, a pediatrician, or a health practitioner, what I know for sure is that the healthy population groups that Dr. Price studied didn’t use iron fortified cereals, fortified apple sauce or the like. When I look at the mouths and faces of people on a traditional diet that Dr. Price captured, and the mouths and faces of most children who have been feed what I would consider to be this highly processed first food, I would recommend you go with tradition and follow their lead. I highly recommend reading the book Nourishing Traditions for Baby and Child Care by Sally Fallon, available via our Amazon affiliation. This book contains a wealth of information! What do you think of the above mentioned real foods for babies? What did your baby eat growing up? 30 Responses to How do you define processed foods? Thank you, Annika! I am delighted to support you, as a nutritionist, and your patients by compiling this information. I hope when parents search online for what to feed their babies, this will come up, and they will reconsider the common dietary advice we see put forth such as this! While many babies do well with the egg yolk, we’ve had some reports like yours. Sally’s recommendation is to try in a month and see how your baby does then. Good points! Except for the controversial rec to start solids between 4 to 6 months, which I think is a faulty recommendation, this is an excellent list which I will be happy to share with my older daughters who are nearing their child-bearing years. Sadly registered dieticians rarely seem to get it right; it’s good to have resources with reasonable information to share, like you. With regard to the chart on introducing solids to babies http://cookingforwell-being.com/Baby-Chart.html: I did see that, and I happen to have had a child who was ready at 4-5 months for solids, so I can relate. However, the recommendation to start solids between 4 to 6 months falls right in line with formula companies’ efforts to undermine exclusive breastfeeding. Those efforts result all too often in breastfeeding diminishing or stopping altogether, which is unfortunate because breastmilk is a complete nutrient and any solids a baby might ingest when months old don’t come near to human milk’s nutritional value. As for choosing 4 to 6 months to recommend starting solids because of babies seeming hungry, 3.5 to 4 months is a classic time when babies appear hungry but in reality need to build mom’s milk supply. Growth spurts happen then, and new developmental milestones are reached which throw things out of harmony so that moms think babes are not getting enough when they really just need more time at the breast. Unfortunately, many moms are feeling the need to do more things without babes in arms and cannot meet babies’ needs for increased nursing, plus the moms are often being criticized for continuing to nurse their babies (as if that’s a problem!) and get lots of societal opposition to continued EBF (exclusive breastfeeding). Any mom who nurses at all is doing her baby, herself, and the world a favor; it’s a shame that the pressure is to stop rather than to continue nursing as along as a baby needs it (which is for years rather than months). That is why the babywearing practiced in traditional societies is so invaluable–you can have babe at breast while you move around doing the chores and projects and jobs you as mom need to do, with breastfeeding happening all the while and with most people not having a clue that you are multi-tasking in quite so marvelous a way! I guess the message is, read and respect your baby’s cues, and offer solids when the signs of readiness are clear, but keep breastmilk as the bulk of your baby’s caloric intake– increase nursing times/sessions if baby seems to need more. Solids in the first year are experiential, not really meant for nutrition. AND every baby is different, so what works for one might not work for another, but ALL will benefit from longterm nursing. Not everyone is so blessed to be so well-educated or savvy when it comes to growing/purchasing and preparing foods. I would hope that all of us in the food, nutrition, parenting and cooking community could be thankful for those who are, and be a little more patient and more open with those who are working towards that end. It is only by appreciating that we’re all here, but on a wide spectrum of where “here” is that we can hope to positively impact diets going forward. This post is in no way intended as a personal attack of any kind, nor did I see evidence of that when I re-read it in the aftermath of your feedback. If you would like to re-write the post in a way that feels more comfortable to you, please feel free to propose an alternative and I will consider a revision. While I am certainly considering your feedback seriously, I feel compelled to share that I don’t believe that any of us need to publish what I would consider to be dangerous dietary advice in order to meet people where they are at. I also don’t believe we need to shy away from the timeless nutritional principles we teach. What I have written is at the heart of our mission. We were established in 2005 by Sandrine Hahn as a non-profit, educational initiative of the San Francisco Chapter of the Weston A. Price Foundation in order to address the dramatic deterioration in the health of our children. This decline is evidenced by the rise in child obesity, dental deformities such as crooked teeth, learning disabilities, behavior problems and chronic diseases such as asthma, allergies and diabetes. Years of research initiated by nutrition pioneer Dr. Price have linked these and other conditions to dietary deficiencies, among other causes. Our cause is dedicated to educating parents on the serious nutritional risks of today’s standard American diet, and to restoring to that diet the nutrient-dense foods that are crucial to the health of our children. What separates our cause from others who are focused on nutrition? Our cause not only identifies the problems with Oreos, cola, candy and other obvious junk foods. We also present research that illustrates how foods widely assumed to be nutritional – including packaged foods commonly described as “organic”, “natural” or “fortified” – are themselves heavily processed and stripped of nutritional value. While these labels provide a convenient way for parents to determine which foods to buy, the items associated with those labels often betray the standard of optimal nutrition. Sandrine, I truly appreciate that there are passionate people like you who make it their life’s work to inform, educate and reform so that all of us can work towards being healthier. Philosophically, I am drawn to your nutrition principles and think that your level of research and background is amazing. I am thankful to have this resource. My advice and feedback was simply in the context of not putting someone else down in your quest to educate others. This article could have just as easily been written with a positive spin. You are a great writer, with phenomenal background resources. I get that “being kind” only gets you so far…and I understand that your organization needs to hold firm to principles and be unwavering in your advice and resources. But, when you have so much to offer, I would err on the side of lifting people up, versus putting them down. My humble advice would just be to keep that in mind the next time you are writing a compelling article. As a matter of clarification, I engage in this role as a volunteer, so while I am, in fact, quite passionate about educating folks about these principles, it is not actually my life’s work at this time. Perhaps one day it may become so. I am blessed to have a visual communication business that sustains me. My contributions to our cause and our community may very well prove to be as the creative director who has created educational materials that are appealing to folks. Most, not all, of the information that our educational materials focus on are taken directly from the Weston A. Price Foundation and from Sally Fallon Morell … in the case of this particular post, I took information also presented by some of the Real Food Media bloggers. I don’t have any formal training in this field. I have no related credentials. I believe we need to be mindful about what recommendations we follow, even from those with credentials, especially when it comes to the physical development of our children. I hope folks will be as discerning about the recommendations we give as well and do their due diligence. I have revised the article in hopes of eliminating a sense that there is any kind of personal attack being made. If you do not perceive my efforts as having been successful, again, I am open to receiving your proposed revisions. Thank you for editing the article. With the changes you thoughtfully made, I think that it now captures the essence of what you were trying to communicate in a much more general, and positive way. As a reader and supporter of your work, I truly appreciate you making these changes and look forward to reading further information from you, and other passionate writers in this burgeoning field. I love this! When my son was born, I had planned to breastfeed him, but my milk never came in, so I started making the homemade baby formula from “Nourishing Traditions.” Every time I take him to the doctor, I have to explain myself to them. Doctors just don’t get it. And I never fed him the baby cereal either. His first food was a soft boiled egg yolk (pastured, of course). He has also never been vaccinated, so of course I’m the subject of ridicule when I step in the door. When they see that I’m somewhat educated on the subject, they no longer want to discuss it with me. The good news is, that since he’s not vaccinated and is rarely sick, I don’t have to take him to the doctor very often. He’s 10 months old now and doing GREAT! Jennifer, I love this testimonial … and would love to include you in our Nourished Families portraits! http://www.nourishingourchildren.org/Families.html If you are inclined, please send photos and a testimonial to info@nourishingourchildren.org … thanks! 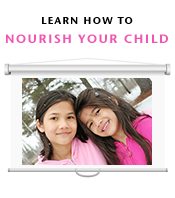 Nourished Kitchen sent me, I am grateful for the info. I drink only raw milk. Only eat grass fed beef and bought a freezer to buy 1/2 cow. Only eat farm antibiotic free eggs. Buy organics and have found some sites that actually have coupons for organics. Thanks. Great article. I like how you keep it simple and I totally agree with every thing you say. Well done on getting this out and fro your research! Weston Price rocks! I love your article Sandrine. I find it hard to believe that someone can consider fortified rice cereal a whole food! I would also say that the dietician’s recommendations were way better than many recommendations I have seen in articles and books! There is so much poor advice out there when it comes to feeding babies. I love your research and the articles you quote. Thanks. Paleo all the way! I have learned alot about natural foods, and processed foods since having my son 6 years ago. This time around with our second child I am excited to finally incorporate my Paleo diet. We will never buy or give our next child processed baby food, or cereals. Thank you for your article, it was very refreshing to read similar beliefs. Now i’m still ambivalent regarding the information and facts in the blog post. Will it be actually possible to get over the conception probability by following these quick advices? Ok , i will try. This information couldn’t be more timely…my son just turned 6 months old, and it’s been a gut feeling that rice cereal is just not an ideal starter food for him. Yesterday i chose to make him his first meal of grass fed beef bone broth and he LOVEd IT. Next up we’ll try the egg yolk. I intend to follow many of the other suggestions you have made here too. Thanks for the informative article…i feel like i can be armed with information when questioned by others/his pediatrician. Hello- I am writing to suggest that you revisit your recommendation, by reference, to occasionally feed infants with small quantities of raw chicken liver. This is a REALLY BAD IDEA from a food safety standpoint. Raw , or undercooked chicken liver is a primary cause of food poisoning world-wide, as a source of e-coli, campylobacter, and other highly infectious, very portable bacteria. The suggestion that a 48 hour freezing of the liver will kill these bacteria is patently false. To introduce this risk to an infant’s undeveloped immune system can only be justified on some ideological basis (paleo-diet, or whatever), which does not take food processing/handling practices or food speed- to- market realities into account. Unless you are growing, butchering, and handling your own chickens and have a highly developed discipline and knowledge of the effects of time, temperature, and sanitation on all of those steps, you are subjecting your child to the consequences of the incompetence or carelessness of others. Wonderful article! One additional concern I have about baby cereals is that they are “fortified” with folic acid, which is the synthetic form of folate. Roughly 40% of the population has some variation of an MTHFR genetic mutation, which makes it difficult to impossible for them to convert the synthetic form (folic acid) to the active form (methylfolate). Their bodies do not produce the enzyme necessary to make the conversion, but when they consume folic acid (the synthetic form), not only do they not convert it to the usable form, but it also prevents the *real* folate from other dietary sources from occupying the receptor sites, resulting in potentially severe folate deficiency. This is another reason why most prenatal vitamins are disastrous for roughly 40% of women (because so many women have MTHFR gene mutations)–most prenatals contain the synthetic form, folic acid. Girl Scout Cookies or Chemicals? An alternative to Girl Scout Thin Mints Cookies we’d recommend!